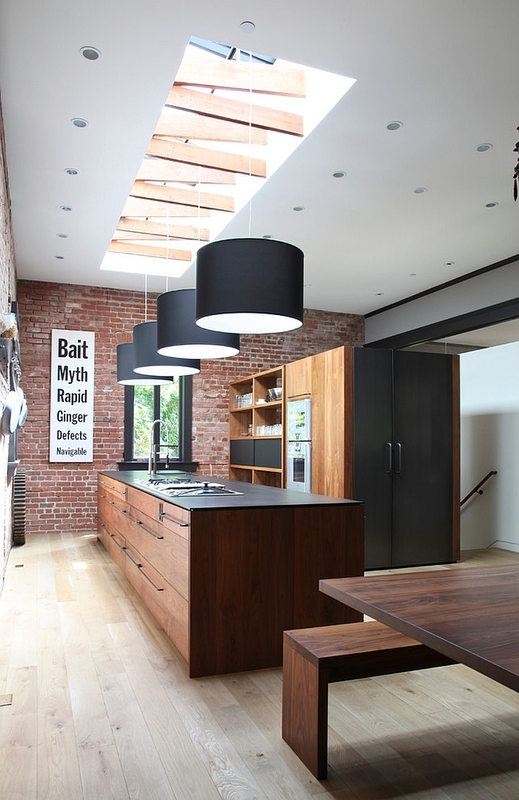 All of us have a tendency to fixate too much on ‘walls’ when it comes to interior design. This means endless hours of contemplating the color palette, decorations and other artwork that will shape your home. 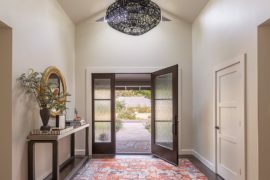 Yet we often neglect another important aspect of our interior that has as much ability to alter the appeal of a space as walls. 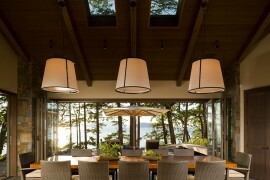 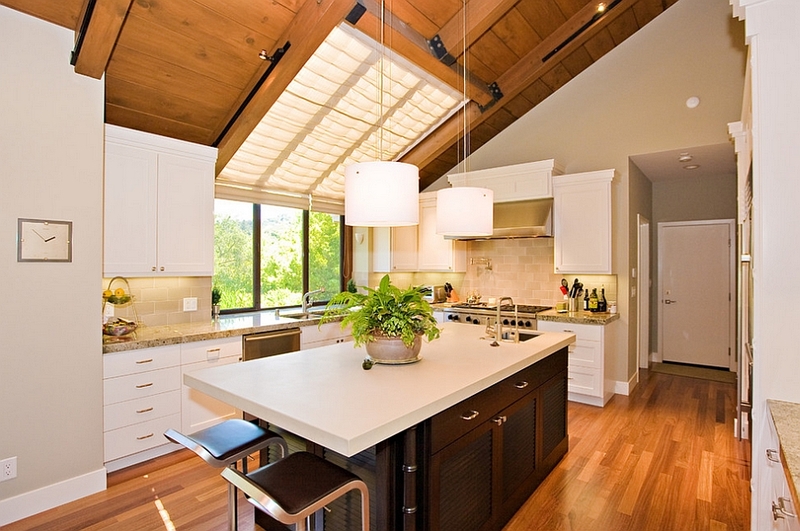 Ceilings do not generally receive as much attention as they should. 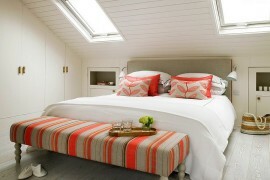 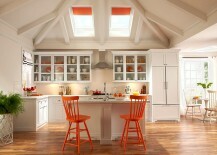 A simple change in the color of the ceiling or even a new trim can give the room an entirely different vibe. 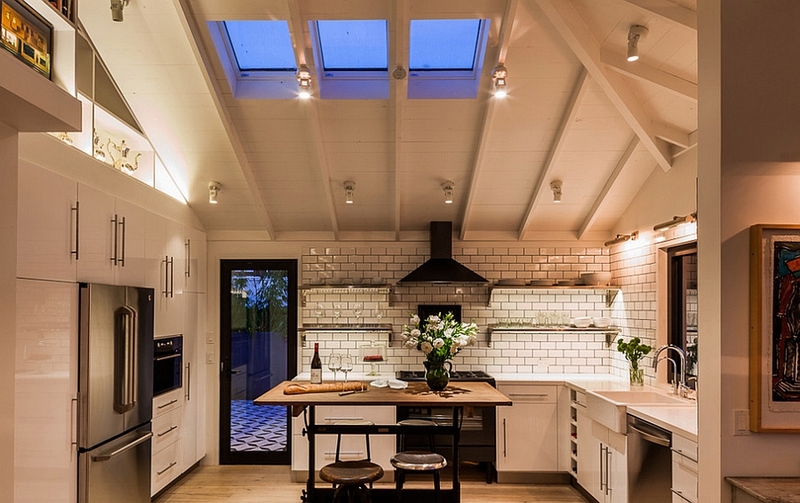 Now, just imagine what a bright skylight can do! 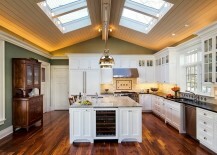 Skylights in the living room or in the attic bedroom are a more common phenomenon compared to those in the kitchen. 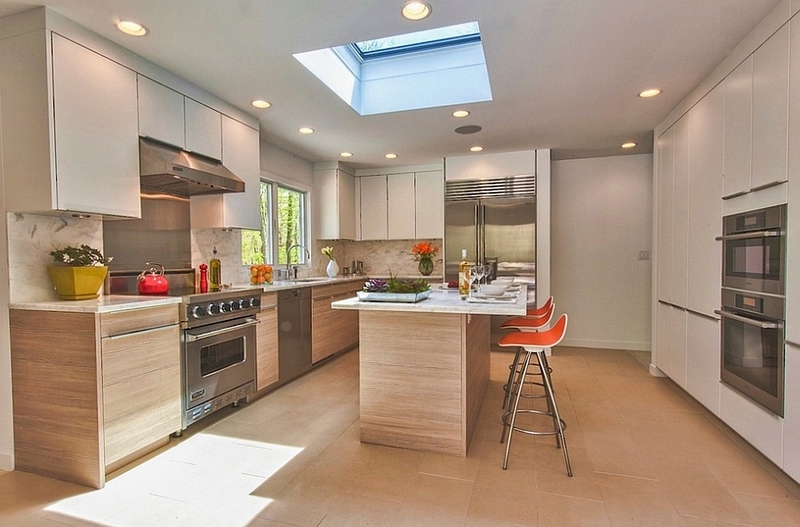 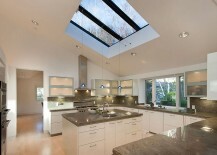 But kitchen is probably the one place in your house where skylights can be utilized to the hilt. 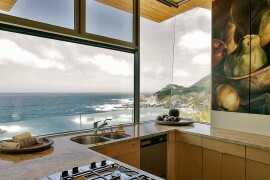 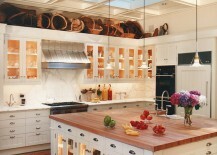 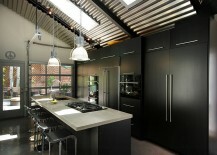 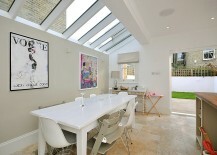 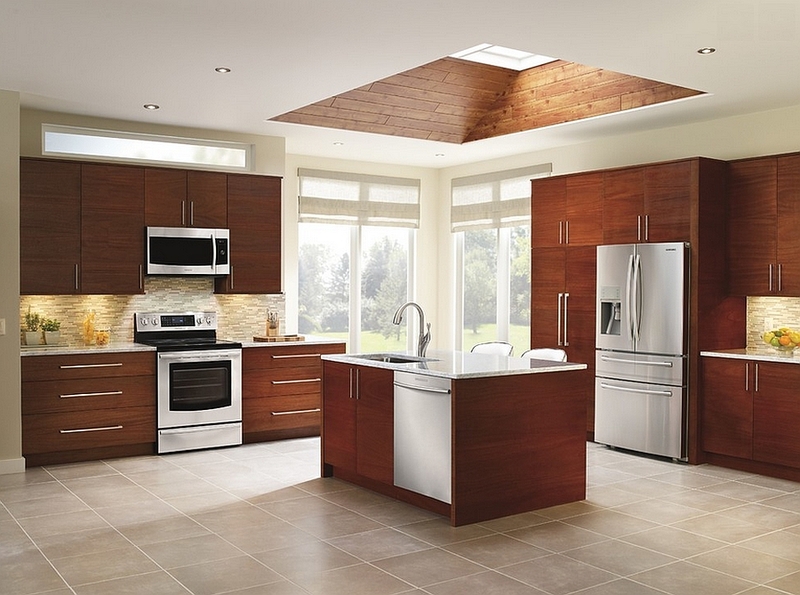 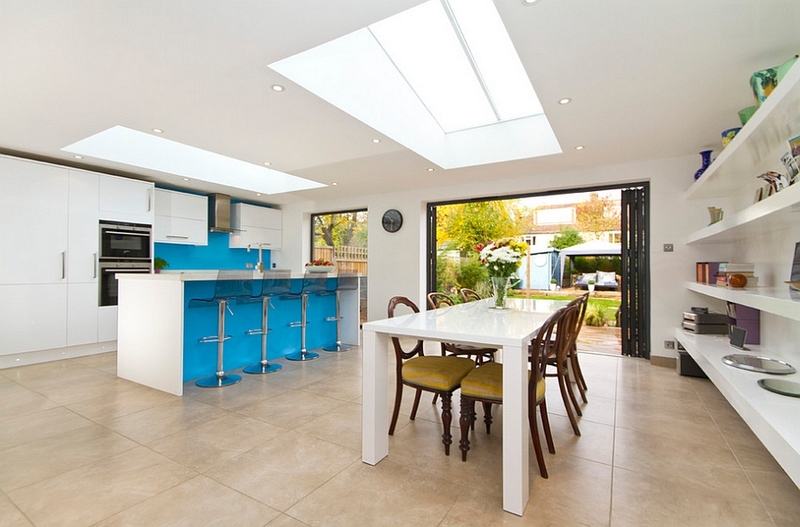 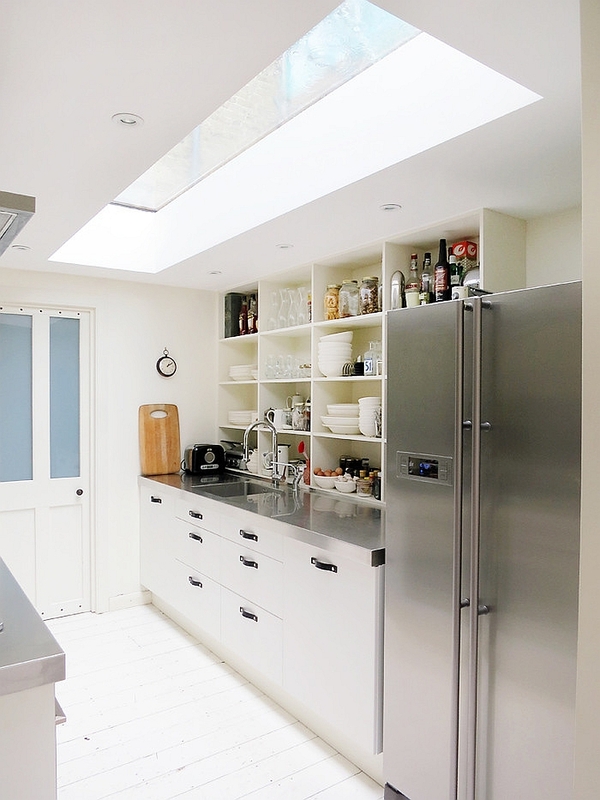 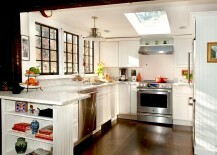 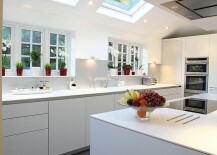 The 25 kitchens with skylights on display today showcase the many ways in which you can get this done in your own home. 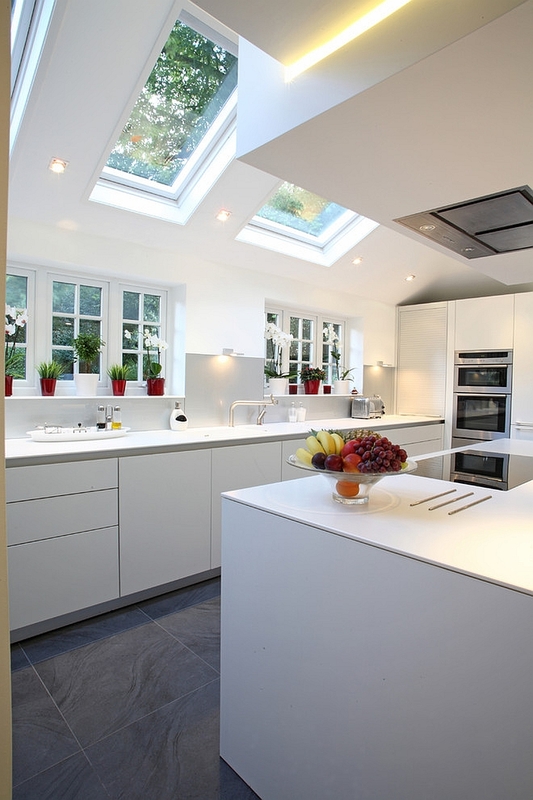 Kitchen skylights not only improve the aesthetics of the room, they are great practical additions that bring in another layer of light. And no room in the house benefits from this more than the kitchen, which requires both ambient and task lighting. 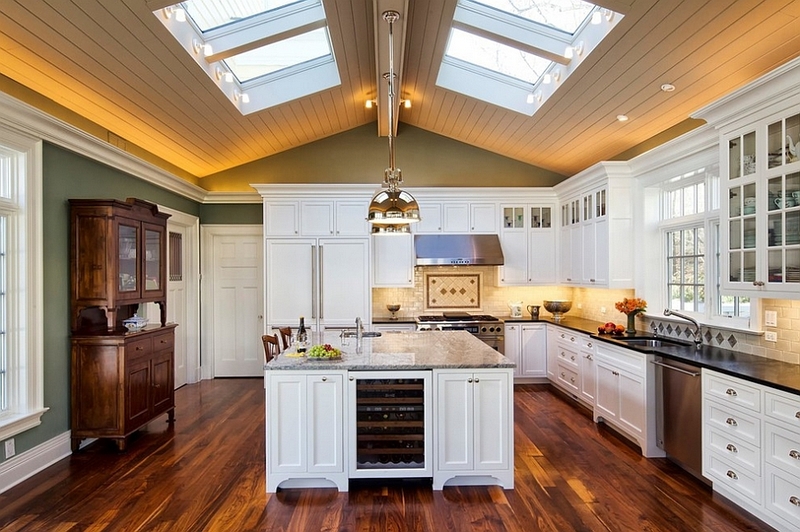 Skylights help cut down on your reliance on artificial light, and anyone with decent experience in the kitchen will tell you that there is nothing like natural light to get the job done! 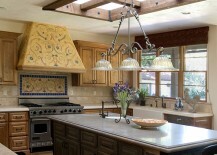 You can place the skylights above the kitchen island or the workstation to ensure that there is a direct stream of light during the daytime, while pendants and canned lights can take over after sunset. 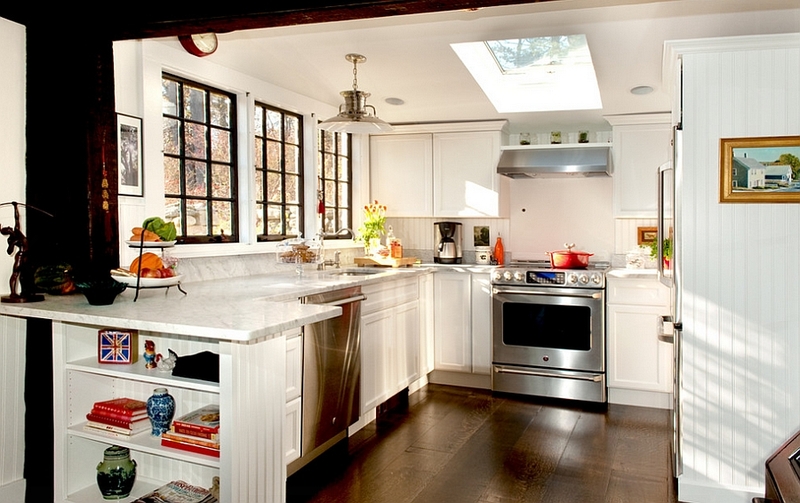 But more importantly, skylights help in turning the small or narrow kitchen into a more cheerful and bright space that seems inviting. 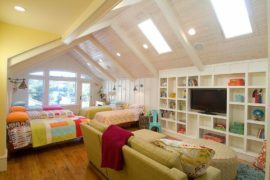 This is where they are far more effective and efficient than normal windows, as a flood of light from the ceiling is more evenly distributed throughout the room. 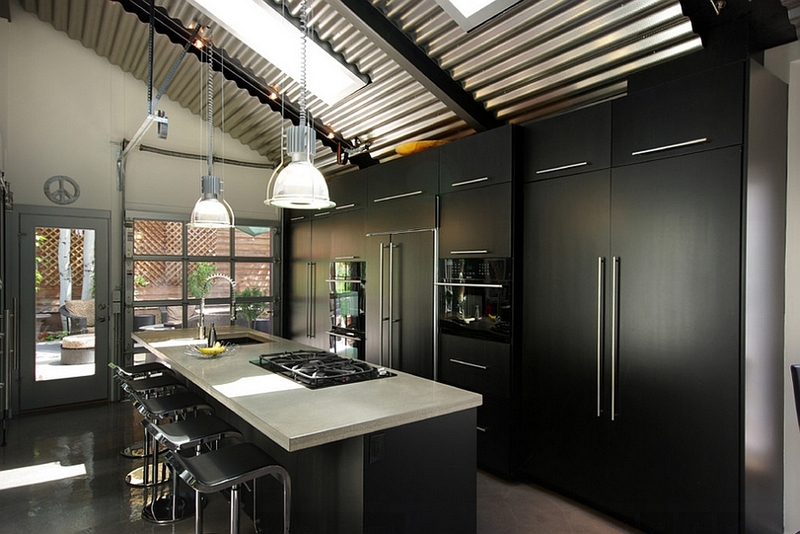 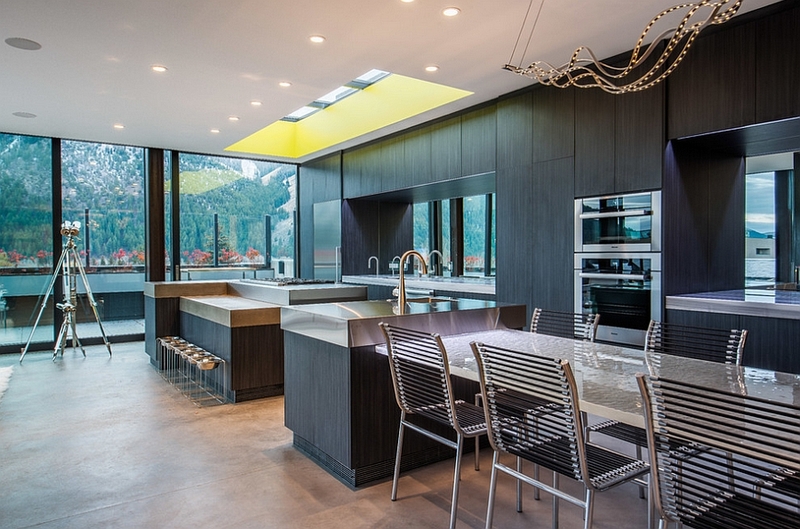 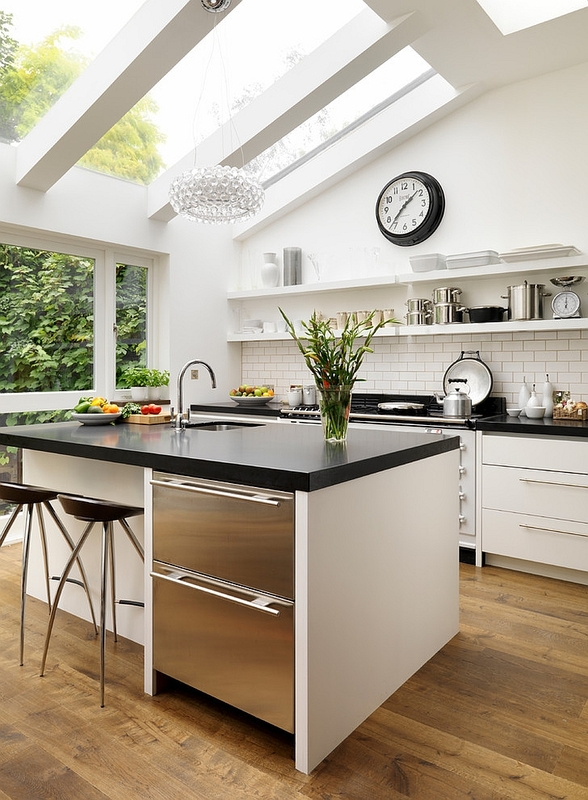 With black kitchens being dubbed one of the hottest trends in 2015, skylights come in handy indeed! 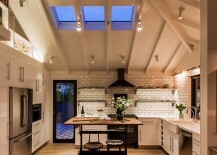 The last few years have seen an increase in homeowners turning towards ‘adaptive reuse’ of structures to give their old traditional houses a new lease on life. 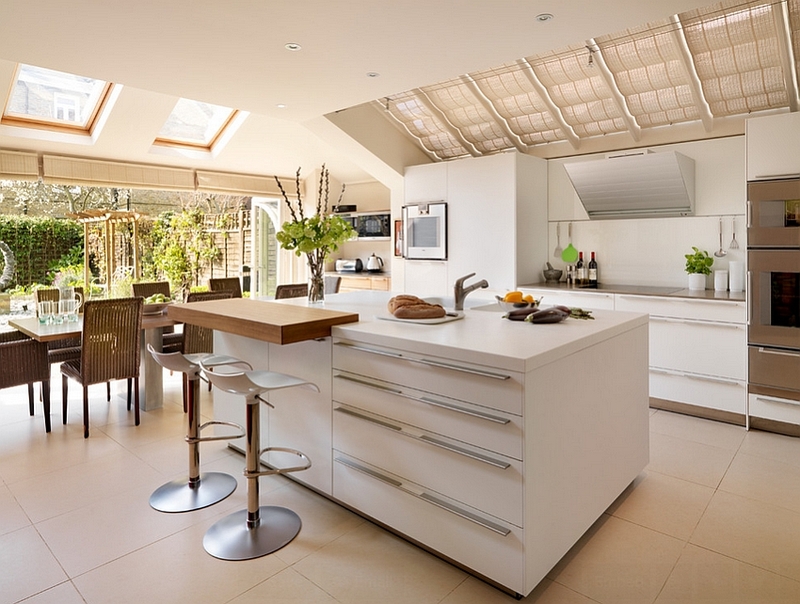 Kitchens with vaulted and sloped ceilings have become more commonplace now than a decade or two ago, when the simple cubicle look was ‘in’. 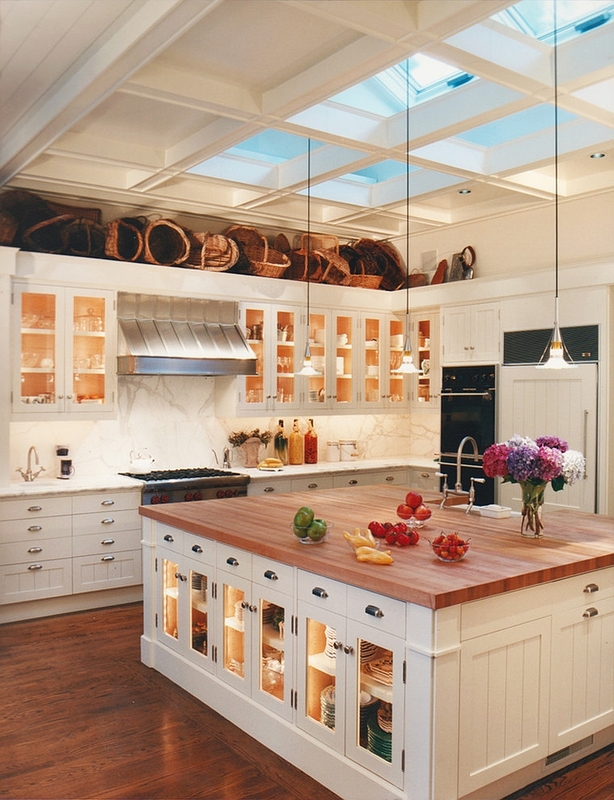 Sloped ceilings seem absolutely perfect for skylights, and kitchens with such ceilings have a dramatic and timeless appeal. 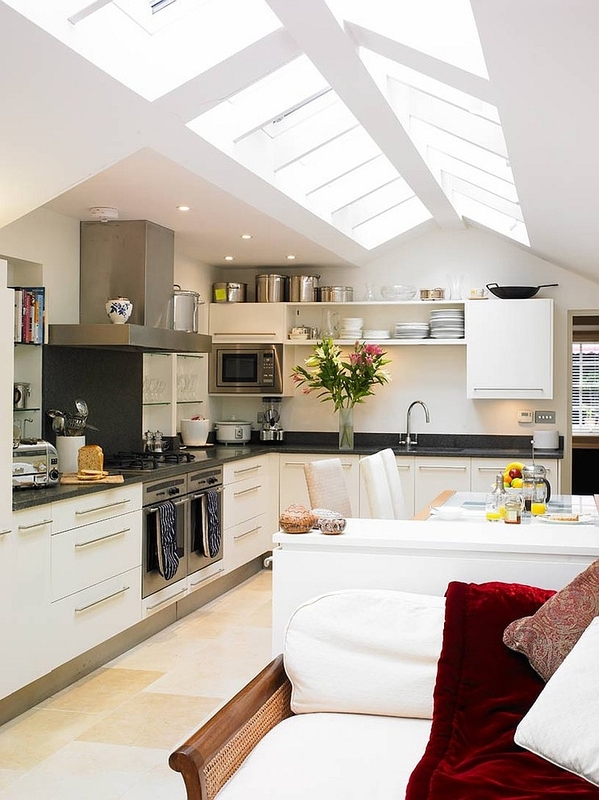 If your attic kitchen feels congested because of the slanted ceilings, skylights are the best way to open it up towards the view outside and give it a fresh, well-ventilated vibe. 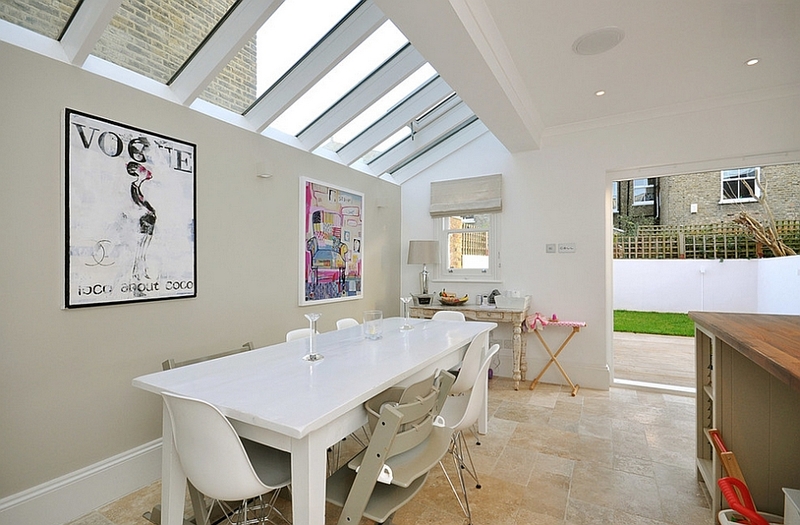 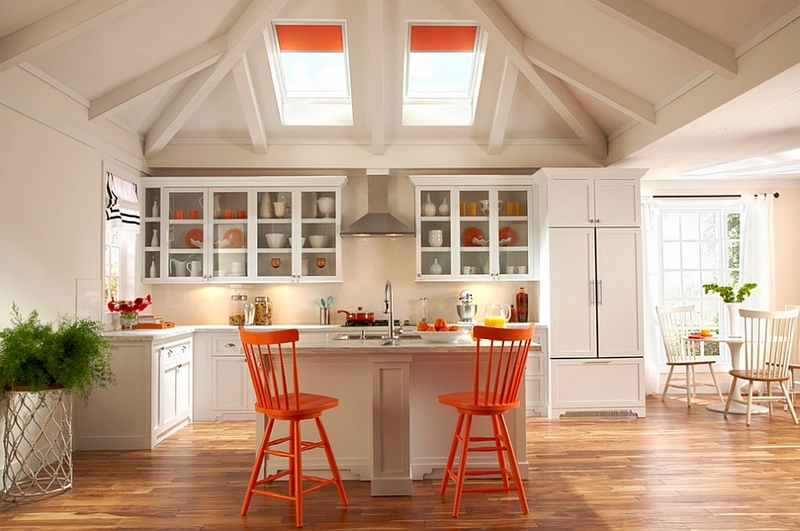 No matter what the style of your kitchen is, there is always a matching skylight that is waiting to be found! 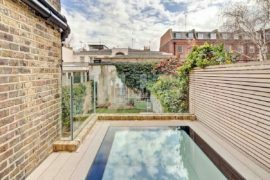 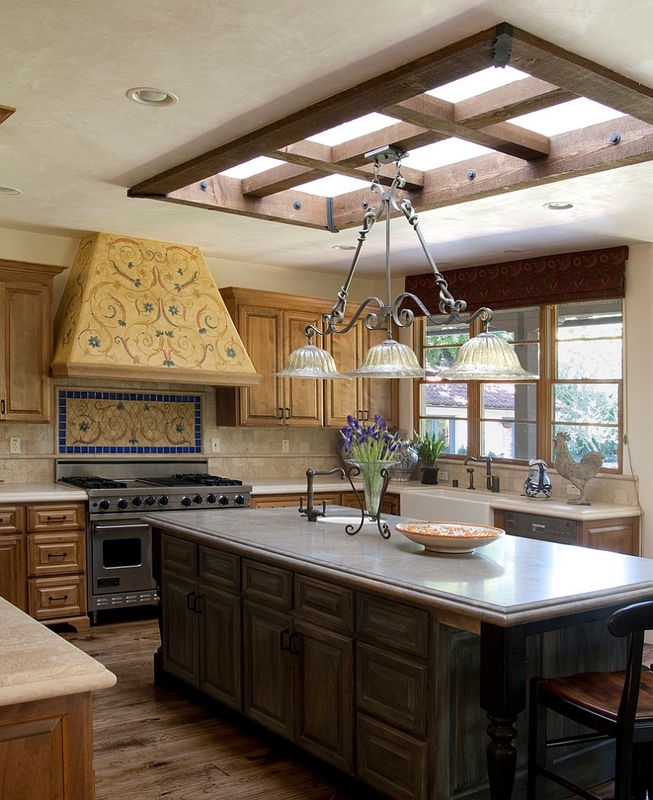 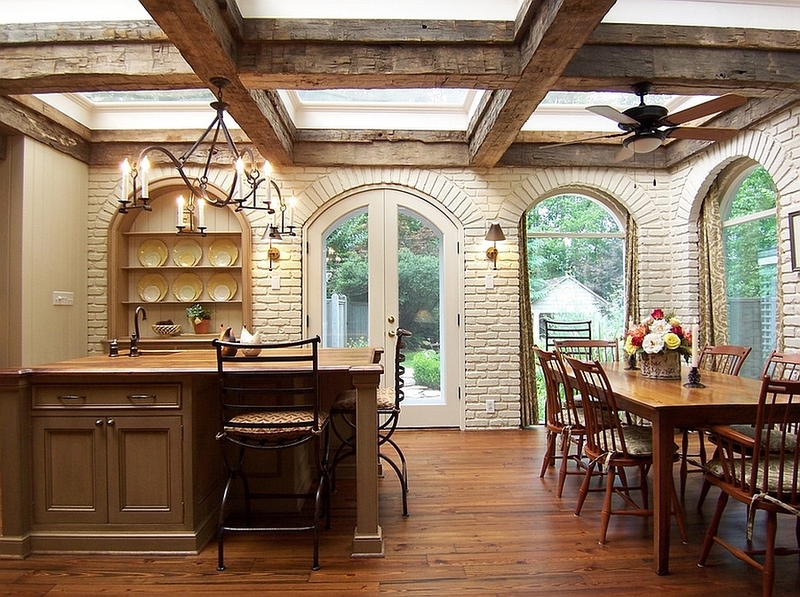 From rustic and traditional kitchens with skylights surrounded by heavy wooden beams to innovative designs with intricate trusses, there are plenty of creative ways in which you can add a skylight. 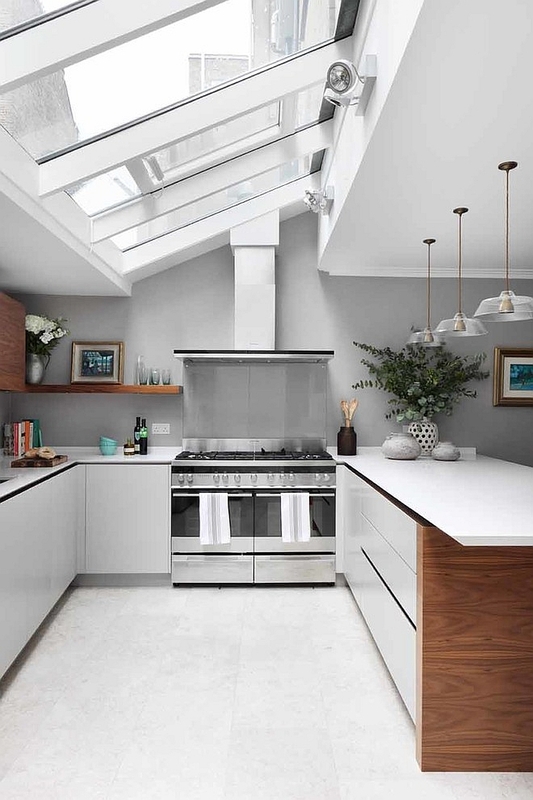 Most modern kitchens combine well with a skylight that has a simple, unassuming trim in wood that matches the kitchen shelves of the worktop. 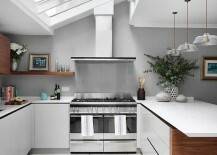 Just throw in some blinds or roman shades that go along with the accents in the room, and you have an energy-efficient, chic kitchen with plenty of light. 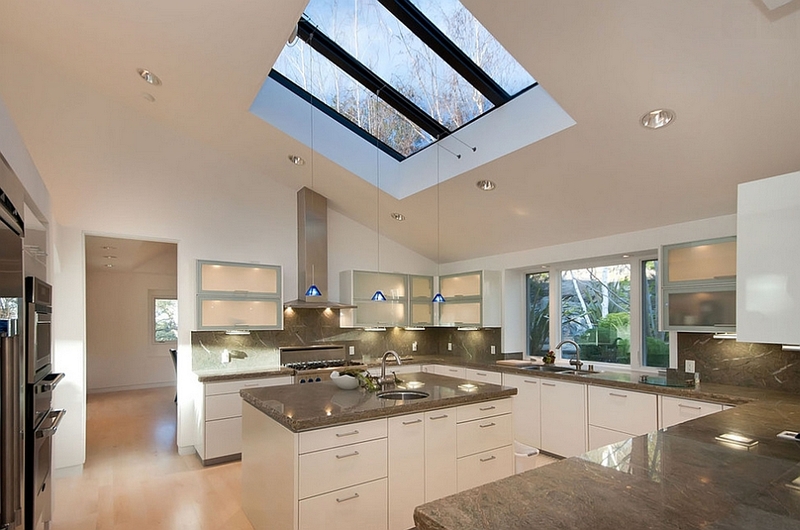 Skylights bring along with them a sense of dreamy elegance as they open up your home towards the sun and the stars. 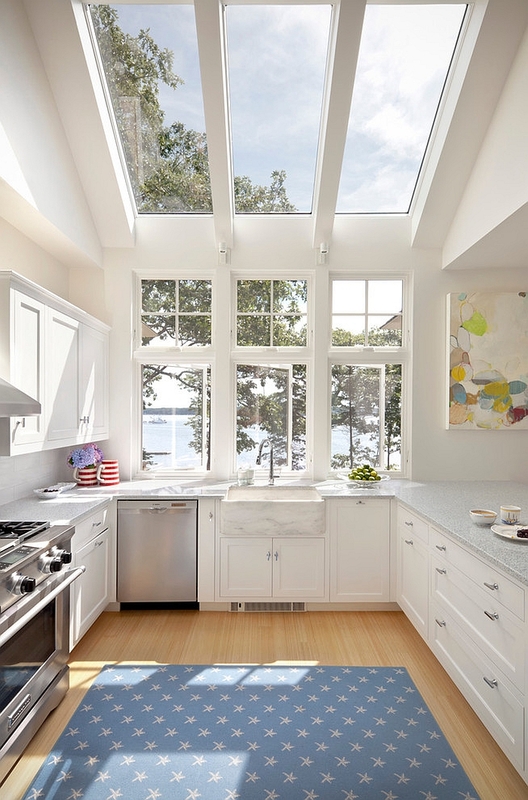 If you are adding skylights to an existing kitchen, consider its insulation, additional ambient lighting and the placement of the workstation and the kitchen island before making the final decision. 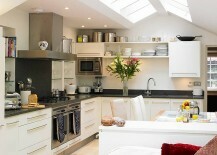 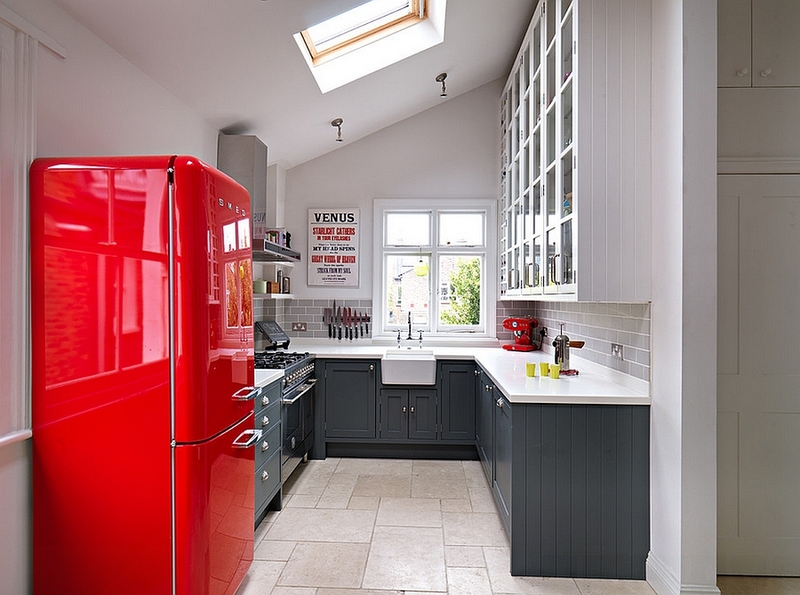 Get it right and you have a truly charismatic kitchen!